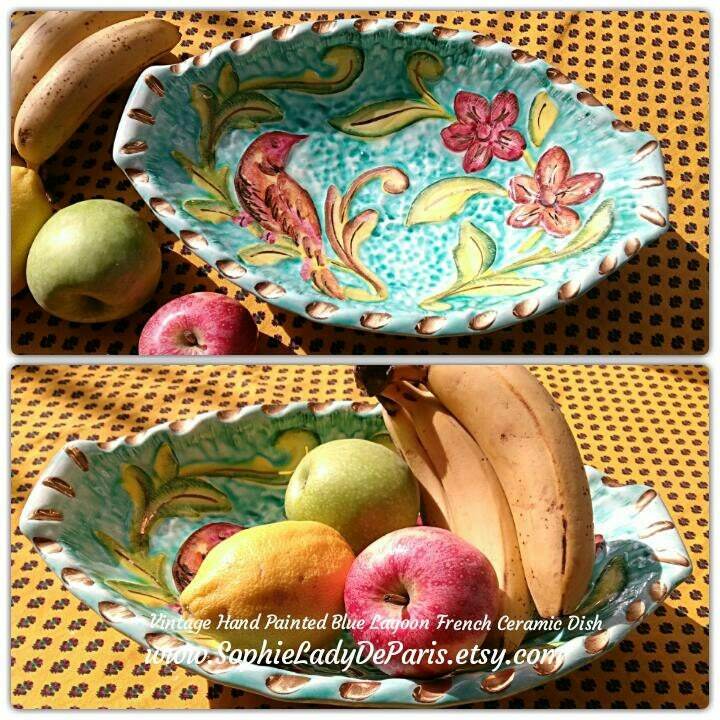 Hand painted French Dish Showing a fish and flowers - French Provence Pottery Platter from the Famous Vallauris pottery location. 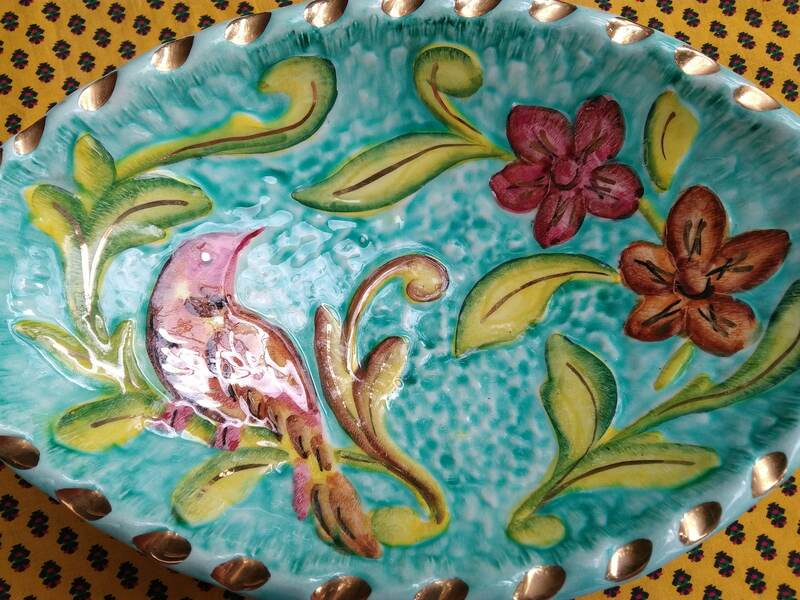 Blue lagoon dish red bird and flowers yellow leaves, gilded. 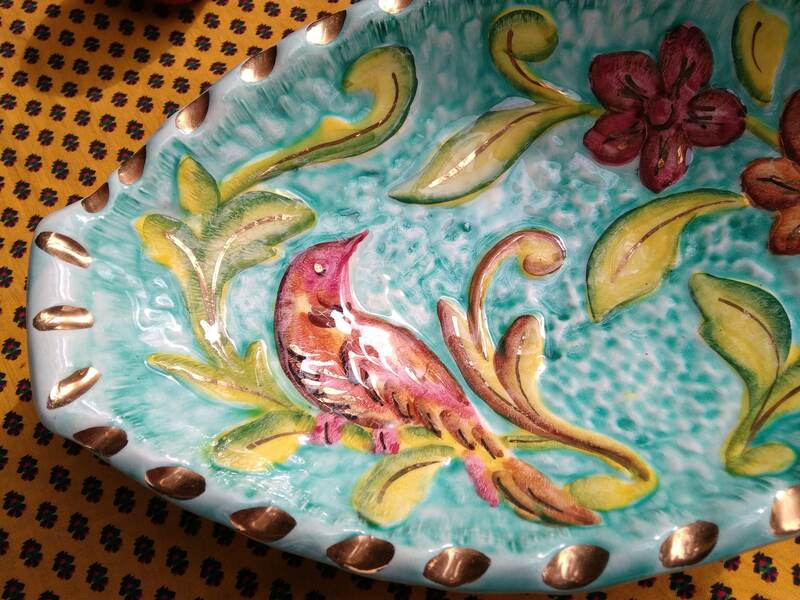 Design has a "Monaco Ceramic Style". 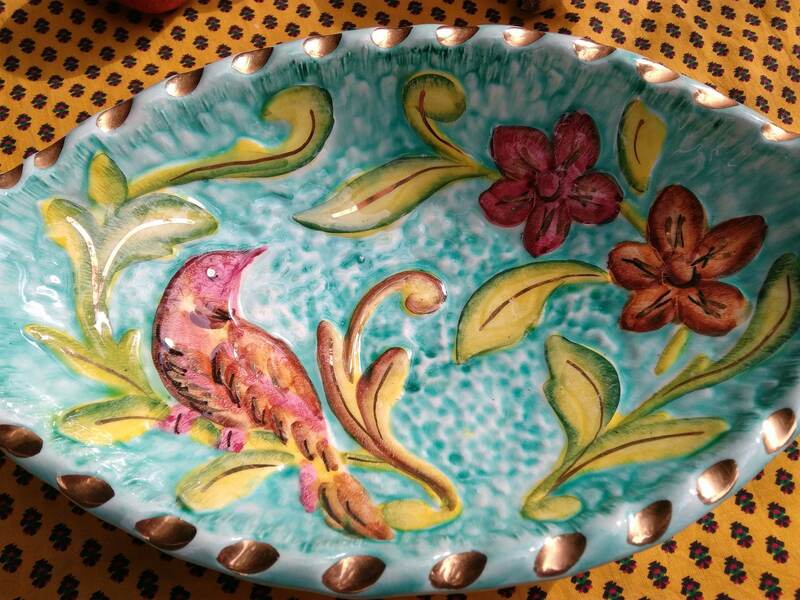 Vallauris is a very famous ceramic artists place in the French Cote d'Azur next to Cannes .The Vallauris ceramic potteries workshops were created in the 19th century. 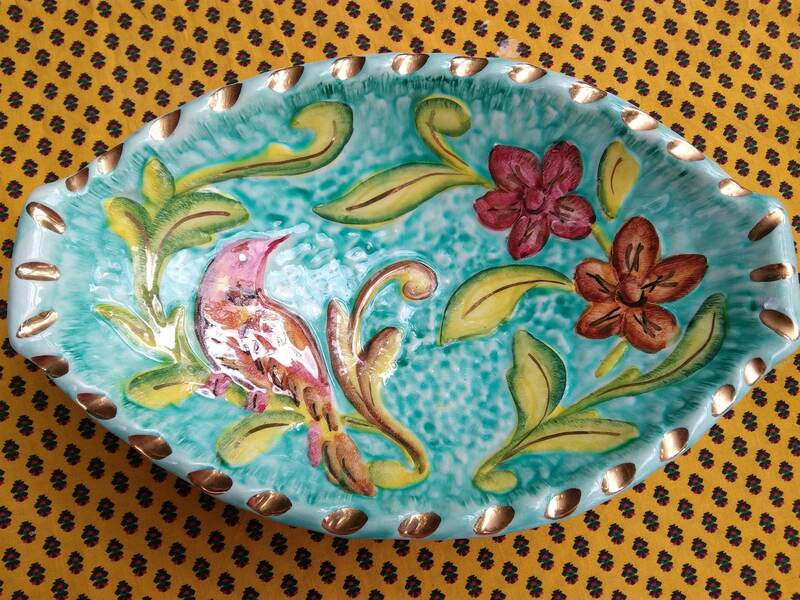 Picasso was working there and collaborating with ceramic artists during the 50/60's . 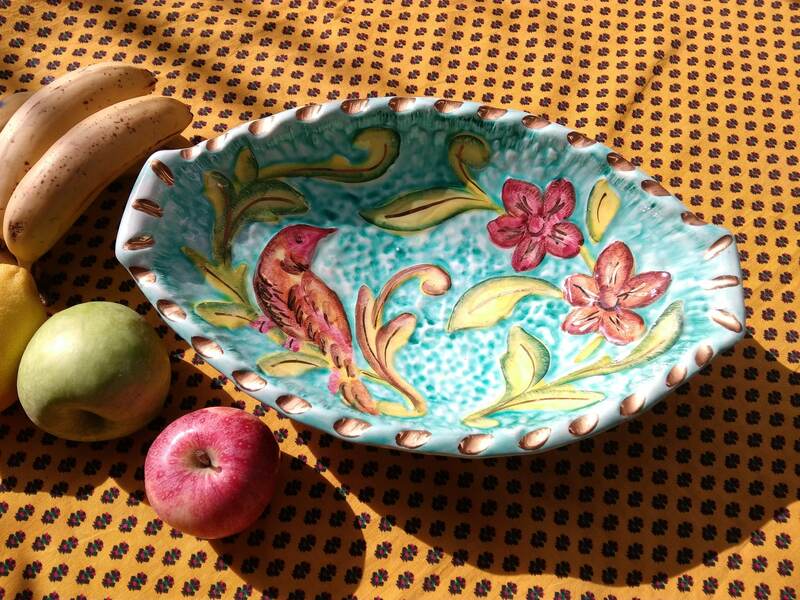 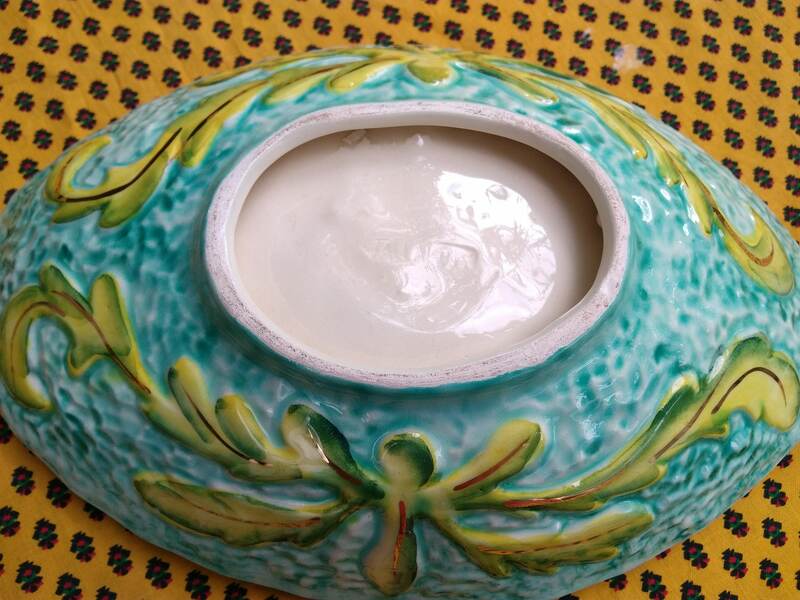 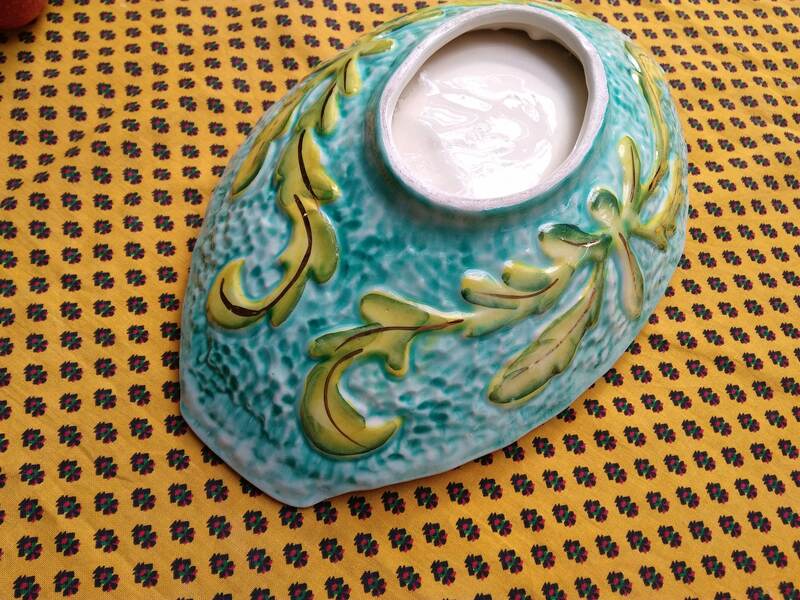 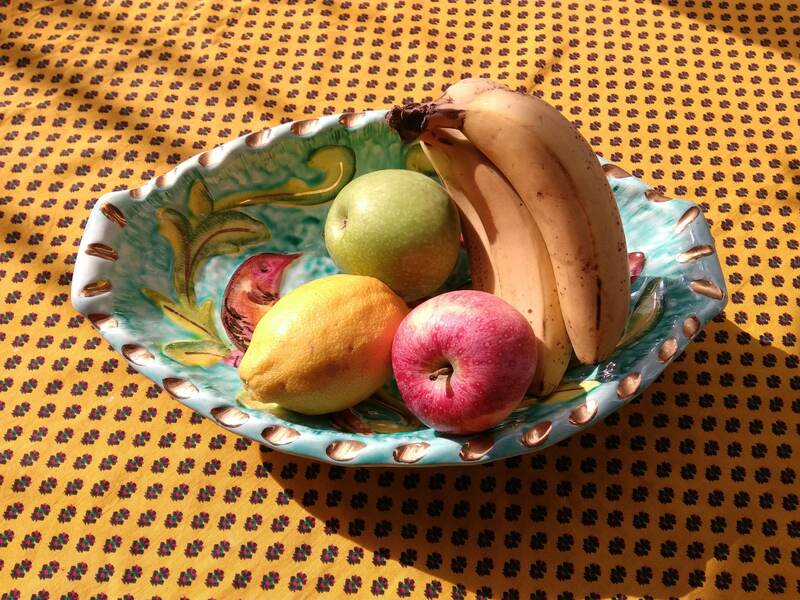 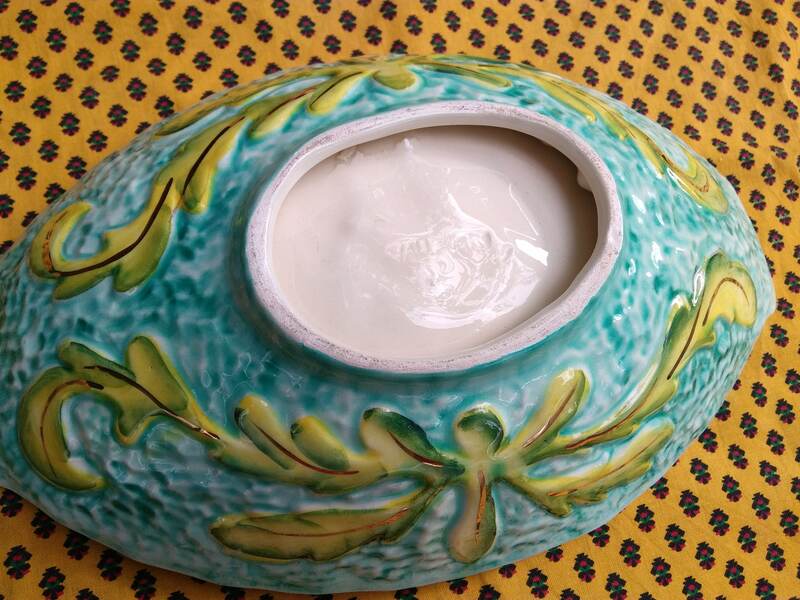 Beautiful French Pottery for ceramic Lovers !